Motorcycle racing is a popular sport and there are many circuits around the world that present challenging courses and terrain for the racers. The Isle of Man TT (Isle of Man Tourist Trophy) is considered the most famous of all motorcycle races in the world. It takes place on the Isle of Man, which is situated between Ireland and England and has been held since 1907. It is known to be the most dangerous bike race in the world. The race is held on the Snaefell Mountain Course. The route takes the riders over 38 miles where they go through towns and countryside. Many of these riders will hit 130mph during the race. Over the years around 240 riders have lost their lives as well as spectators. This seems to have not deterred riders as it still very popular. The North West 200 takes place every year in Northern Ireland and is raced on the streets in the towns of Portstewart, Coleraine and Portrush. The layout of the race is called the triangle and is known for high speeds, and competitors sometimes reach speeds of 200mph. This race has been around since 1929 and even though the race is fast, fatalities have been low and it makes for great NZ sports betting opportunities. The Dakar Rally takes place off-road and is held in South America currently. The very first race was held in 1979 and the riders raced from Paris to Dakar. This race is considered dangerous and in 2008 it had to be cancelled due to an impending terrorist threat and was held in Argentina and Chile in 2009. The race is open to cars and bikes and both amateurs and professionals can take part. The race is done over two weeks and competitors often have to do more than a thousand kilometres each day. Around 60 people have lost their lives in the Dakar Rally. 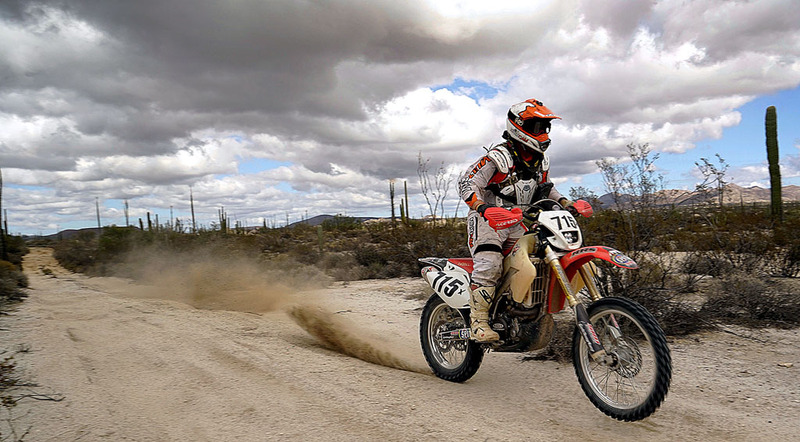 The Baja 1000 takes place in Baja every year. This is an off-road race and was started in 1967. This race is open to vehicles of all sorts, buggies, trucks and motorcycles. The length of the race varies between 600 and over 1000 miles and the length is dependent on the layout of the course. The race is done over mainly desert and has many obstacles in various sections of the race. The Pike’s Peak International Hill Climb is most well-known for the cars that enter this race, but motorbikes are eligible to enter. The objective of this race is for riders to climb the 12.42 mile track at the fastest possible speed. On route there are 156 turns that rise 1440m. The race has various classes depending on the bike. The current record holder of this race is Carlin Dunne riding his Ducati Multistrada 1200 and he finished the race just over 9 minutes and 52 seconds at a speed of 121 kph. The course has no crash barriers and one error will send a rider over the edge.